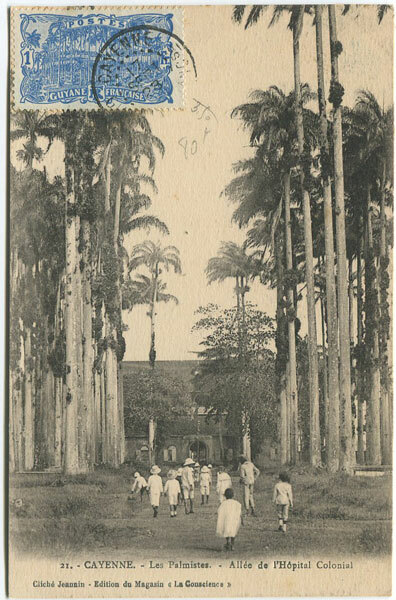 Old French Guiana postcard used in 1928 but not addressed. Fine. CLICHE JEANNIN EDITION DU MAGASIN LA CONSCIENCE Cayenne. Les Palmistes. 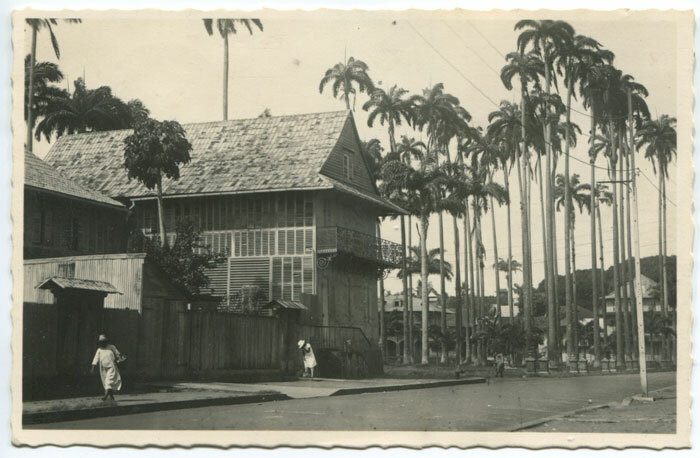 Allee de l'Hopital Colonial. 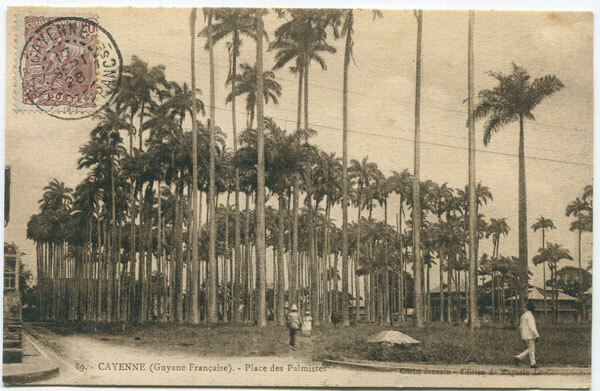 Old French Guiana postcard used in 1923 but not addressed. Fine. ANON Cayenne. Un coin de la rue Lallouette sur les Palmistres. Real photo postcard, used in 1950 but not posted. PACHTERE Felix De Ballingschap van den eerweirden Heer J. B. 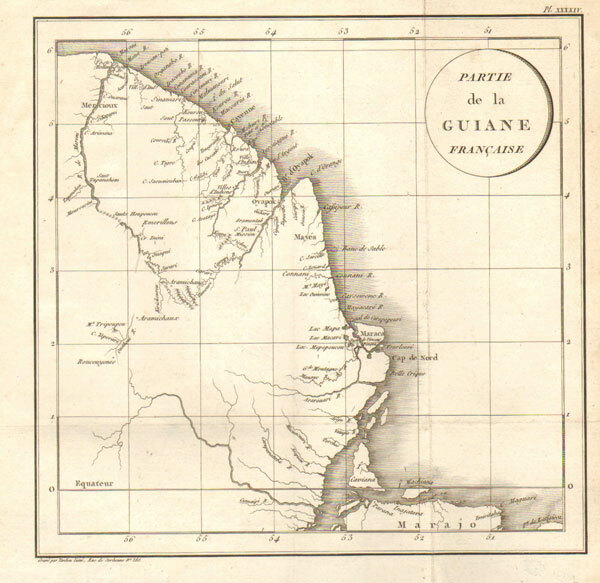 De Bay, naer de Fransche Guyane in Zuyd-Amerika ten jaere 1798. 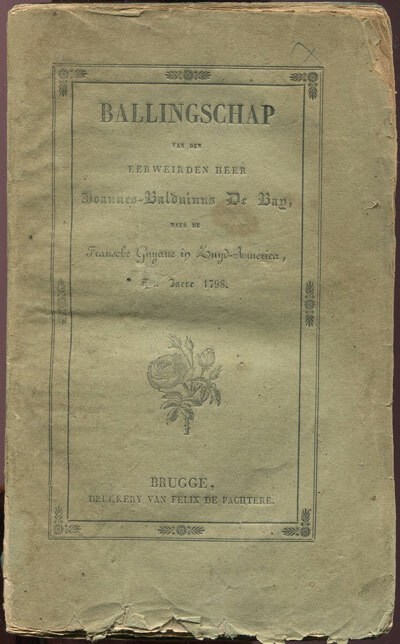 Uytgegeeven door Brugge 1837 216pp. 1st ed., clean in worn original paper covers. 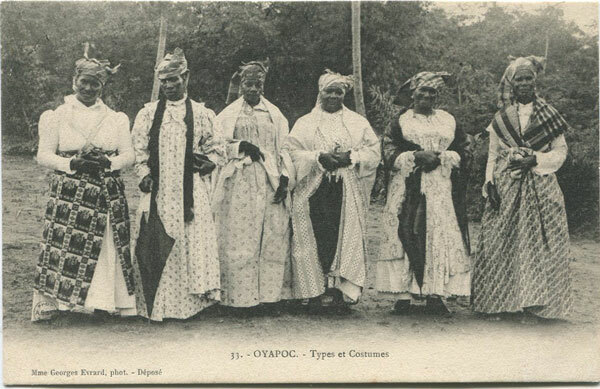 Includes detailed list of priests in French Guiana.